Ivo Perelman, tenor sax; Matthew Shipp, piano; William Parker, bass; Whit Dickey, drums. Music by Ivo Perelman (ivomusic/ASCAP), Matthew Shipp (Matt Shipp music/ASCAP), William Parker (Centeringmusic/BMI), Whit Dickey (Nommo Music/ASCAP), Published by Alissa Publishing/PRS. Recorded, mixed and mastered by Jim Clouse at Parkwest Studios, Brooklyn, NY, October 2016. Paintings by Ivo Perelman, design by Tom Beckham, photo by Peter Gannushkin. The passionately ingenious Brazilian tenor saxophonist Ivo Perelman enjoys a unique partnership with the brilliantly eclectic pianist Matthew Shipp: it stretches back more than two decades and encompasses more than 30 recordings that document the ever expanding extent of their seemingly mystical connection. 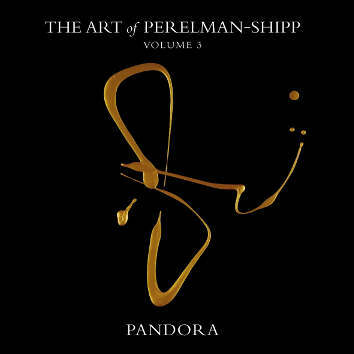 Now, in their most ambitious project to date, Perelman and Shipp present The Art Of Perelman-Shipp, a series of seven discs (released simultaneously), all centered around the core of their collaborative formats — the sax-piano duo that constitutes a binary star system all its own. These artistic soulmates engage in a musical communication that calls to mind the greatest partnerships in improvised music: Parker and Gillespie, Brubeck and Desmond, Coltrane and Tyner. As Neil Tesser, who annotated all seven discs, writes: "At this juncture, and especially in the duo format, [Perelman and Shipp] each can anticipate the other's responses. A connection exists that some would call telepathy — or even clairvoyance. Not only do they finish each other's sentences; they also start them." But not even Coltrane and Tyner approached each performance in the way of Perelman and Shipp, who walk into the studio without any preconceived plan — no written theme, no harmonic schemes, no outline of the events that will take place — and simply start to play, allowing the music to go where it will and trusting their shared history to guide the proceedings. All CDs are named after the planet Saturn's moons and on the front covers one can see fantastic Ivo Perelman's paintings which turn the whole thing into a work of art and instant collector's item.